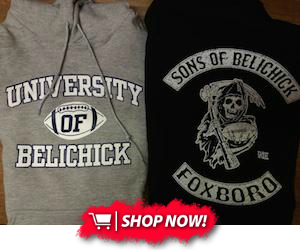 Should the New England Patriots Trade Rob Gronkowski? As I drove back from my uncle's house after watching the Patriots handily beat the Houston Texans for the second time this season, I listened to WEEI and heard multiple callers proclaim that the Patriots should trade Rob Gronkowski. I thought about entertaining this idea and trying to play both sides of the argument, but it is just too outlandish of an idea to play along. Let's deconstruct this trade proposal in a couple of ways: Rob Gronkowski's value as a player and the Patriots upside (or lack thereof) of trading him. 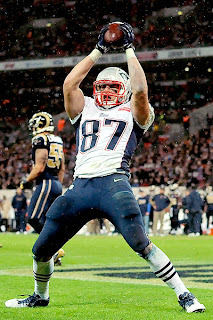 To put this simply, Rob Gronkowski is the best TE and one of the best young players in the NFL right now. Don't believe me? Rob Gronkowski broke the previously held single-season touchdown record for a tight end in his second year in the league, and he broke it by four touchdowns. He accumulated 17 passing TD's (almost 18, but it was changed to a rushing TD), breaking the record of 13 set by Vernon Davis and Antonio Gates. He broke the record for receiving yards by a tight end with 1,327 yards (record was 1,287) which stood for about 30 yearsand it was set by Hall of Famer Kellen Winslow. I repeat, he did this in his second year in the NFL! He is 23 years old and the Patriots drafted him in the second round. His only downside as a draft pick was that he was injury prone, but that was because of back surgery he got at the University of Arizona. Has there been any recurring injury for Gronk other than this broken forearm? No. The next question is who would the Patriots go after? The best they could get for Gronk is maybe a draft pick or some unknowns. Part of Gronkowski's incredible statistics is that he has Tom Brady throwing to him in a system that revolutionized the usage of tight ends. Even if the Patriots could acquire a great pass rusher like JJ Watt, or a Rodney Harrison-esque safety, I still wouldn't give up Rob Gronkowski for all of the aforementioned reasons. He's too young, too good, and too fun.